How to draw hamster. 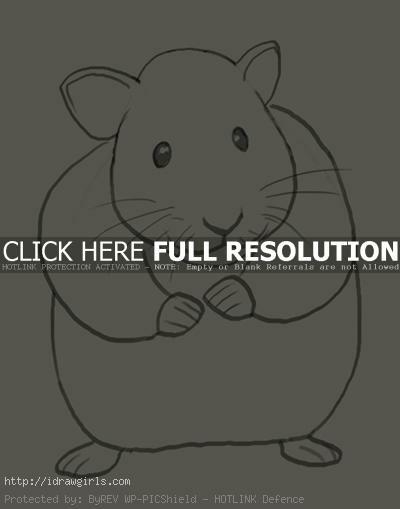 Learn to draw a hamster step by step images along with basic drawing instruction. Hamsters are typically stout-bodied, with tails shorter than body length, and have small, furry ears, short, stocky legs, and wide feet. They have thick, silky fur, which can be long or short, colored black, grey, honey, white, brown, yellow, red, or a mix, depending on the species. In this tutorial, we will draw a typical hamster with full body. Most of animals and creatures are different in shapes and forms depending on their families. The best way to approach the drawing is identify simple shapes within the head and body. Find the biggest shape you see first or you can start with the head then body. It will help to define the main parts of each animal by breaking it down. Hamsters are rodents. Hamsters are crepuscular animals which burrow underground in the daylight to avoid being caught by predators. Their diet includes a variety of foods, including dried food, berries, nuts, fresh fruits and vegetables. In the wild they feed primarily on seeds, fruits and greens, and will occasionally eat burrowing insects. They have an elongated pouch on each side of their heads that extend to their shoulders, which they stuff full of food to be stored, brought back to the colony or to be eaten later. 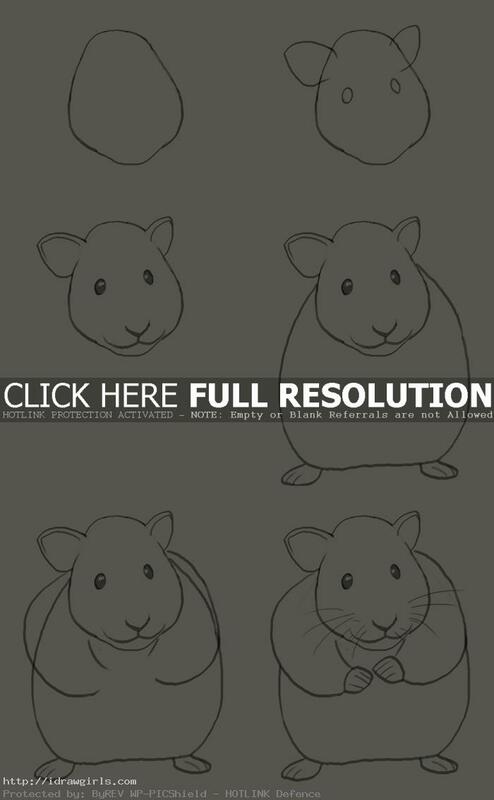 Below are step by step how to draw hamster. Step one, I drew an egg shape with little protruded bottom for its chin. Step two, I added two ears on top and both eye on both side of the face. Step three, I drew nose and mouth. Step four, I drew a big egg shape with flat bottom for its body, then feet. Step five, I drew “C” and reversed “C” on each side of the body for arms. Step six, I finished the arms and hands. Finished.